CVW Oil has teamed up with ENH Power in order to provide their customers with the lowest cost electricity in the Granite State and is a supporter of the NH Food Bank and NHSPCA charities! With every CVW Oil enrollment ENH Power will donate $5 to a local charity. To date, ENH Power has helped over 54,000 customers save across the state! Over the past several months, CVW Oil has devoted a lot our time in re-evaluating all electricity suppliers offering similar services here in NH. In doing so we decided to change and we have found ENH Power to be a sterling company that is 100% hedged, meaning that when you are part of the ENH Power Team, you can have full confidence that the power supply for your home or business has been 100% purchased. No spot market pricing in such a volatile market! 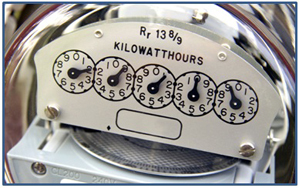 ALSO, ENH Power is the only NH supplier that does not offer a variable rate. This way “you” are not wondering what your rate will be each month. NO Variable rates + 100% hedged = Budget Certainty! IF you have been switched without a direct letter from CVW Oil, we ask that you support the efforts of CVW Oil and enroll with ENH Power! To sign up, either complete and send in the Download Application above, or visit our form online website. All it takes is your utility account information and about 5 minutes… then you’re off to electricity savings!